We have all heard about samurai: men skilled in the arts of the deadly blade, devoted to their leaders and clans. Men ready to fight brutal battles and die knowing they fought for something larger than themselves. Men who pursued the arts, raised families, and contributed to the societies in which they lived. However, history and modern media seem to glaze over the role of other warriors within and outside their ranks: the fearless onna-bugeisha and onna-musha. While researching this topic, I was surprised to find few books or biographies in print on the lives of these women warriors such as Tomoe Gozen and Tsuruhime. There are articles and some biopics, but nothing major. Tomoe Gozen, one of the most legendary onna-musha in Japanese history. Her actions in battle are recounted in the Heike Monogatari, in the Battle of Awazu. Contrary to popular belief, onna-musha and onna-bugeisha were a normal sight. They were a major part of the feudal system, influencing the politics and military conflicts of the day. In other words, they were a product of their time, but steadily fell into history. As the samurai drifted into records and legends, they left behind personal details of their lives and battles. But where are the onna-bugeisha and onna-musha in personal records? Where are their own words? In the modernization of Japan, photography would be introduced, but in a different light. The photographs of onna-bugeisha or onna-musha would usually be portrayed by another person, usually an actor or actress. The Ukiyo-e woodblocks, however, tell a different fantastic story. The designs of the woodblock prints envelop the viewer into desperate, other-worldly times. Tomoe rides into chaotic battle, conquering her foes. In these desperate times, a woman warrior often favored the weapon known as the naginata, a bladed pole utilized among the warrior class of ashigaru. Additionally, they were trained in diverse martial arts in order to defend themselves should their weapons fail them. An actual photograph of Nakano Takeko, warrior of Aizu. She would later be shot in the chest while leading a charge in battle. Taking into consideration the length of hair women grew, the shape of their bodies, and societal implications, women’s armor was vastly different from men’s. Women’s armor was prepared to be more beautiful, define the female form in battle, and to wield weapons more efficiently. 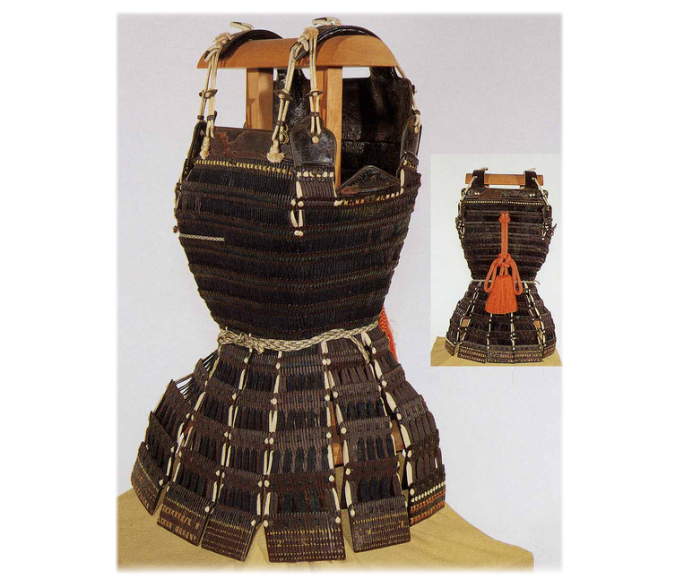 The armor of Tsuruhime, on display at the Ōyamazumi Shrine. Courtesy of My dream museum. Tsuruhime led an army in conflict against the Ōuchi samurai. Unfortunately, historians debate the accuracy of Jingū’s story, as there is not much evidence to suggest this invasion of Korea happened. So, next time we look into the history of samurai and Japanese culture, let’s not forget that women also had a hand in battles and typical life. In stories, inspirations, and the future of Japan. Their armor and weapons designed for their styles, and the woodblock designs that represents an art interpreted for the ages. 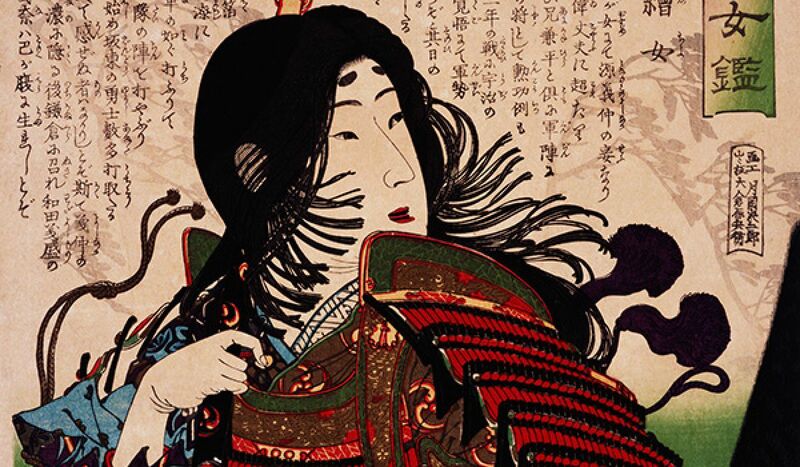 Below are links to articles to read more about the warrior women of Japan! Turnbull, S. (2010). Samurai Women 1184-1877. Osprey Publishing.